Opinions diverge when it comes to conference interpreting skills. Some people think you can train for it, yet some believe that if you don’t have that special predisposition, you will never be able to make it. Although I must admit that predisposition makes it easier and faster, as far as I’m concerned, I share the first group’s view. I believe that you can be whatever you want to as long as you work hard for it. Therefore, today I’ve decided to give few tips on how to train on your own or with a friend in order to be a conference interpreter. The only requirement, however, is to have a good knowledge of the languages you want to work with. A very important aspect of conference interpreting is, in my opinion, its strong ties to hot news. This means that you need to keep abreast of the latest news. A good way to do it, as a citizen, is to watch or read the news, but a better way to do it as an interpreter is to watch or read the news in all the languages you work with (you can find everything on the Internet). Obviously, conferences on old subjects cannot be precluded. Sight translation is a good way to get ready for both simultaneous and consecutive interpreting. In fact, it is simultaneous as you read and translate at the same time but it is similar to the consecutive task because you read a text (similar to notes) and you translate it. Therefore, I do believe sight translation is a very effective way to exercise your mind to conference interpreting. 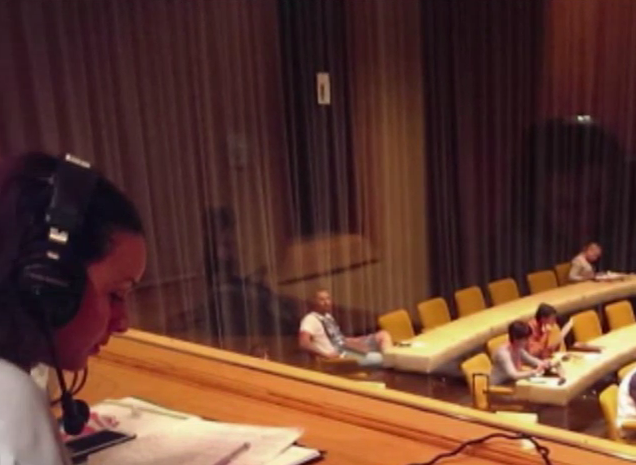 If you want to train for simultaneous interpreting, a good way to do it is to start with listening to speeches in several languages and get used to their structures and typical phrases. Then you can try to interpret them from your computer. Just put on your headphones as if you were in a booth and speak. You can record yourself with your phone at the same time and check how was your interpreting once you’re done. This will help you learn from your own mistakes and errors. If you can do this with a friend, even better as a second opinion is always welcome. Although there are several note taking methods, the best ones for consecutive interpreting are, from my point of view, two: the mind map and the linear note taking. “A mind map is a diagram for representing tasks, words, concepts, or items linked to and arranged around a central concept or subject. A mind map uses a non-linear graphical layout that allows the user to build an intuitive framework around a central concept. A mind map can turn long list of monotonous information into a colorful, memorable and highly organized diagram that works in line with your brain’s natural way of doing things”(http://www.mindmapping.com/mind-map.php). So, as you can see, mind map note taking is a very graphic alternative that consists of a visually organised information. As for the well-known linear note taking method and the most common one, I guess we have all used it during lecture note taking at University. Although there are different linear note taking techniques, I won’t dwell on this further, I might write a more detailed article about it. The choice of one method or another depends on you, some colleagues feel more comfortable with the first one and some others with the second one. Personally, I prefer the linear method. One of my teachers in London taught me her method for linear note taking and it has since then been mine too. Having said this, let’s get back on topic. Once you have chosen your method, put it into practice: look for speeches on the Internet (youtube, etc), take notes and translate the speech. If you are on your own, record yourself and compare it with the original speech once you’re done. However, the best way to train for consecutive interpreting is to do it with a friend, at least that’s how I did it. You can both listen to the speech and both take notes, then one of you translates while the other compares it with his/her notes. At the end, you can listen to your friend’s feedback regarding word translations, missing parts, etc. It goes without saying that a good interpreter definitely needs to have a good memory, specially when it comes to consecutive interpreting. There are miscellaneous tools, tips and games on the Internet that you can find just writing “memory games” or “how to improve your memory” on Google. For instance, here is a game that I play sometimes. To put it in a nutshell, nowadays you don’t necessarily need a booth or a real conference in order to train and practice, so if you want to get started, good luck! Thank you for the very interesting hints about tools for practising without requiring a booth or a real conference. 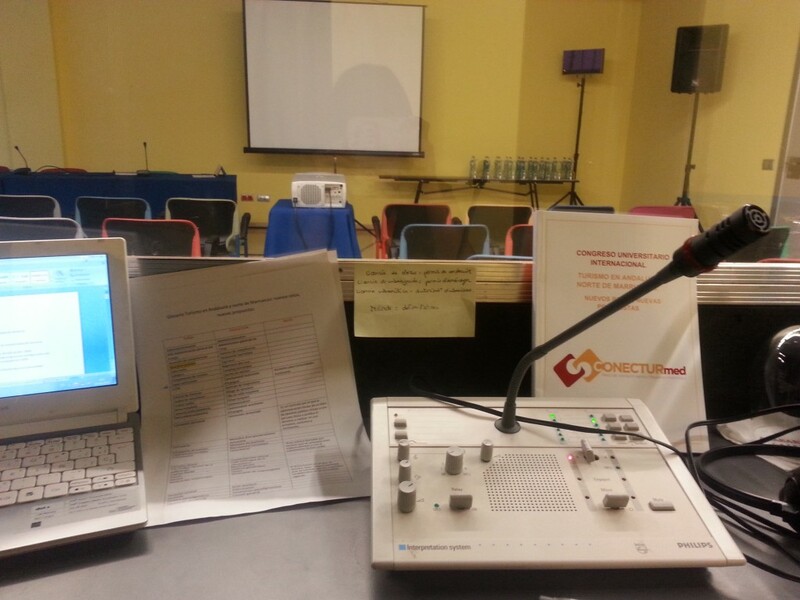 I am a retired translator and used to do consecutive interpreting as well. I no longer do any oif these but I’m always eager to learn about the profession. Thanks Antonio, I’m glad you liked it!